Sophie Masson AM is the award-winning author of over 60 books. Her historical novels include War and Resistance (Scholastic Australia, 2019), Black Wings (The Greystones Press, 2018) and Jack of Spades (Eagle Books 2017), shortlisted for the 2018 Davitt Awards. Sophie is also a founding partner and Publishing Director of acclaimed boutique publisher, Christmas Press. 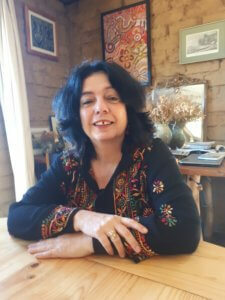 A former Chair of the ASA and current Chair of the New England Writers’ Centre, Sophie received an AM award in the Order of Australia this year, for significant service to literature as an author, publisher and through service to literary organisations. Sophie is our Conference Patron, and will be part of the 2019 conference. Sophie’s latest book is War and Resistance.